ELMONT, N.Y. – Be Bullish, the popular 10-year-old stakes-winning New York-bred gelding won a $16,000 claiming race Sunday at Belmont Park by three lengths, his fourth consecutive victory and 19th overall from 87 starts. He was claimed from David Jacobson and Drawing Away Stable by owner Mike Repole, who said he will retire Be Bullish to Old Friends Cabin Creek in Saratoga Springs, N.Y.
Be Bullish, a gelding by Pure Prize, had 19 wins, 26 seconds, and 14 thirds from 87 starts. He won six stakes, including two runnings of the Hollie Hughes, and earned $1,106,288. “I won the race with him that put him over a million dollars, and if he didn’t get claimed that day, I probably would have done it then,” said Repole, referring to a $20,000 claiming race last December at Aqueduct, from which he was claimed by Jacobson and Drawing Away. Repole only raced Be Bullish six times, having claimed him once for $75,000 in June 2011 and for $16,000 last September. 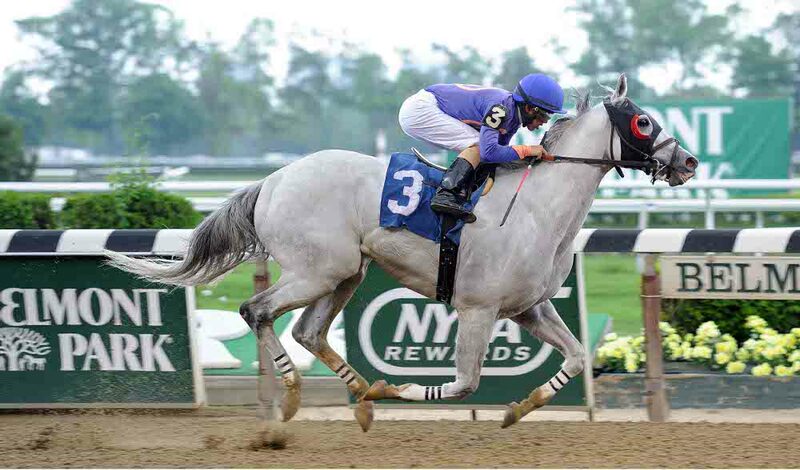 Though Be Bullish has won four straight races, Repole said he only had to hearken back to Jan. 4, 2014, when Caixa Eletronica, a multiple graded stakes winner he owned who was 9-years-old, died in a freak training accident at Belmont Park. David Jacobson, who had trained Be Bullish for 23 of his career starts – the gelding winning seven times – including 13 of the last 14 for Drawing Away Stable, said he was surprised to hear Repole would retire him. Repole believes Be Bullish should be in New York, which is one reason why he selected Old Friends in Saratoga. However, Repole said he could move the horse somewhere else if Be Bullish doesn’t settle into farm life well. “I want to get him there through the Saratoga meet; hopefully, he’ll get a bunch of visitors, and after that if he’s not settling well and he still wants to do things, we’ll either go to New Vocations or Rerun, a program that’s authorized by Thoroughbred aftercare, and get him a great home where he’ll either be a jumping horse or something that he would want to do,” Repole said. [Additional notes: Be Bullish, who broke his maiden on September 22, 2007 in his 2-year-old debut at Belmont Park for trainer Scott Schwartz, numbers the following stakes wins among his 19 victories: the Hollie Hughes twice, the Appealing Guy, Sir Keys, Leon Reed Memorial, and open Mr. Nasty Stakes. 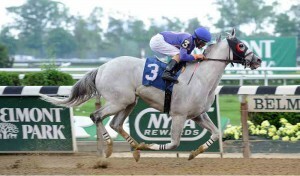 The resume of the stalwart grey gelding also features an additional eight seconds and eight thirds in stakes company. I think it is wonderful that this fine horse gets retired now. If he does not like farm life maybe you could train him to be a pony horse like they did Lava Man.